Road Safety Products are specifically designed to be provided on roads and highways to fulfill a variety of tasks safety point of view. 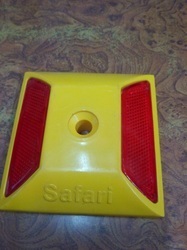 These road safety products are manufactured from high durability polyethylene material. Our Polycarbonate Convex Mirror have greater mirror thickness and reflective than our competitors. Ideally used for blind spots at parking, internal lanes etc. 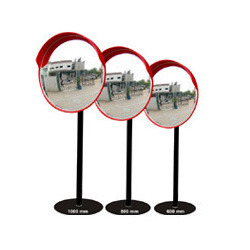 Convex mirrors are also used at toll booth collection centers and inside shops to get a greater view of surrounding area. 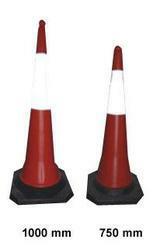 We are engaged in offering Road Safety Cone from a huge plethora of Safety Equipments that is manufactured, exported, and supplied by us. 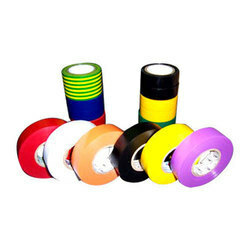 These are manufactured by using flexible plastics using UV Stabilizers. These find applications in center lane dividing, Men at Work Zones or temporary barricading at public places. These are having robust design and are provided with heavy base for stability. We offer hence at industry leading prices to our clients. Type a) 1000MM Cone 1. Weight (in Kg) 5 KG 2. Height (in MM) 1000 MM 3. Material Used Flexible Plastics using UV Stabilizers. We are engaged in manufacturing a comprehensive range of Traffic and Road Safety Equipment that is manufactured using quality raw material procured from reliable vendors of the market. 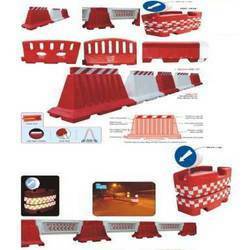 These include Equipments like speed bumps,Road posts ,convex mirrors, link chains with posts, Q-managers with chains & belts reflectors, light bars, road barriers, reflective jacket and reflective gloves. etc Available at the industry leading prices, these are offered to suit the requirement of the clients. 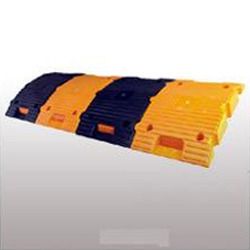 We are one of the recognized firms engaged in offering a wide range of Road Studs. 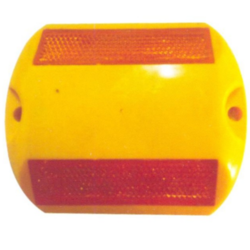 These studs are also known as lane dividers or cat eye lights that are used as safety devices on road. Manufactured using phosphorescent material, these studs are also and embedded in the pavement. Our firm is providing Speed Breaker. Due to high demand, we offer this product in diverse patterns that meet on customer’s demands. 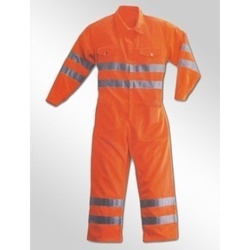 Our Boiler High Suit that we offer is manufactured using high quality of PC fabrics. These are supplied in many parts of the world and are available in several sizes such as S / M / L / XL / XXL and attractive features. We do quality checking of these High Visibility Boiler High Suits before delivering at the client’s end. 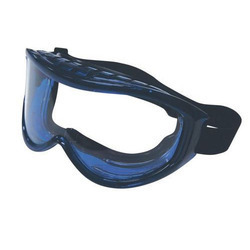 Speed Braker made of sturdy plastic, these bumps offer high resistance to severe impacts. The interlocking grip design allows it to behave like one single bump. 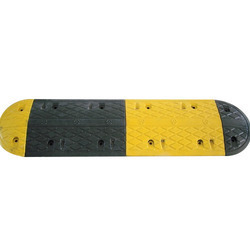 The pre colored materials (black and yellow) and unstabilisers result in permanent colors which does not fade easily. Acrylic reflectors fixed on front and back help in identifying the location of the speed breaker from a large distance. 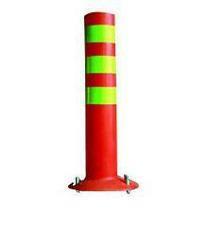 We are manufacturing, exporting and supplying a supreme range of Safety Equipment including Spring Post that is widely used as road divider especially on narrow roads. The flexible nature of the Spring Post avoids any accidents even if the vehicle happens to hit it. It serves as a harmless yet definite purpose of a road divider. 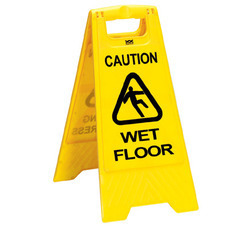 These are made from highest grade Polyurethane and rigorously tested for quality. 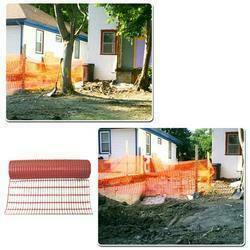 Safety Fencing Net is offered in various sizes, weight and colors. Our offered Barrier Safety Fence, Wire Rope Safety Fence, Plastic Safety Fence are rust proof, reusable, resistant to corrosion and do not conduct electricity. Also these are not even affected by extremes of temperatures.Safety Fences are appreciated for ultra-lightweight durability and easy installation.